It is hard to believe this is the last official weekend of summer. 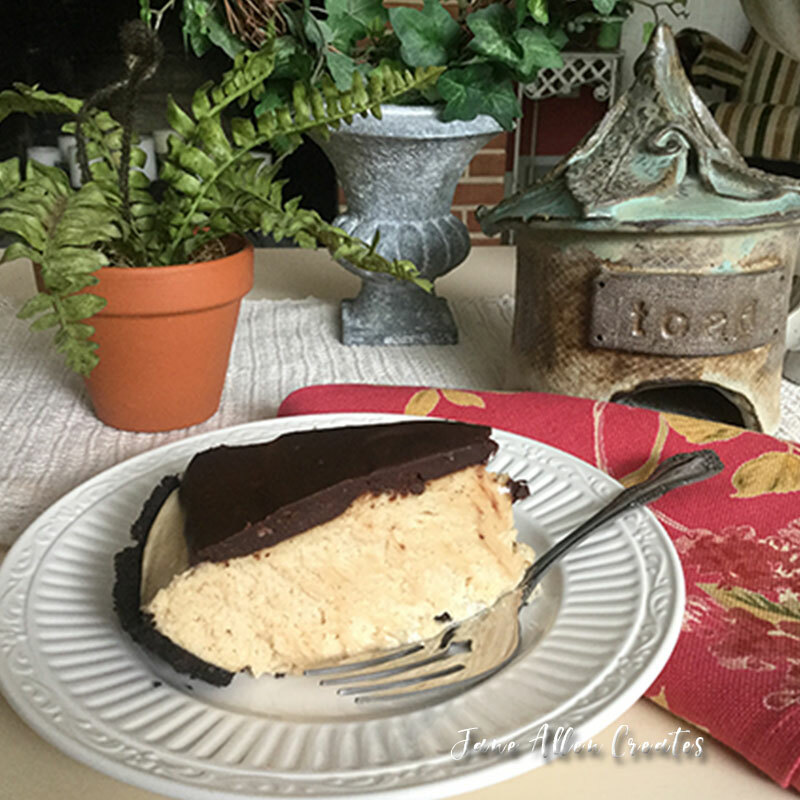 If you are looking for a yummy dessert to take to that last picnic try my recipe for Peanut-Butter Silk Pie. The Chocolate Mocha topping balances the sweetness of the peanut butter filling. Not only is it delicious but it is easy to whip up. I beat my heavy cream until it is stiff, then place it in another bowl and mixed the rest of the filling together. Then fold the whipped cream into the filling and place in your pre-made chocolate crust. I then put my chocolate chips and coffee in a microwave safe container and cover with plastic wrap. I put everything into the microwave for a minute on high, then take it out and stir (every microwave is different, I would do in smaller intervals the first time). If there are a few lumps I let the heat of the chocolate melt those. I let it cool a little and then add to the top of the pie. Refrigerate for at least an hour or overnight……and then Enjoy! My husband thought he did not like peanut butter and chocolate together until he had this pie. Now I have to make an extra one if I am making them to go somewhere. He thinks this is the best…that is why I love the man! This looks amazing! I’m going to have to try to find a gluten free crust I can survive with. 😉 Thanks for sharing !